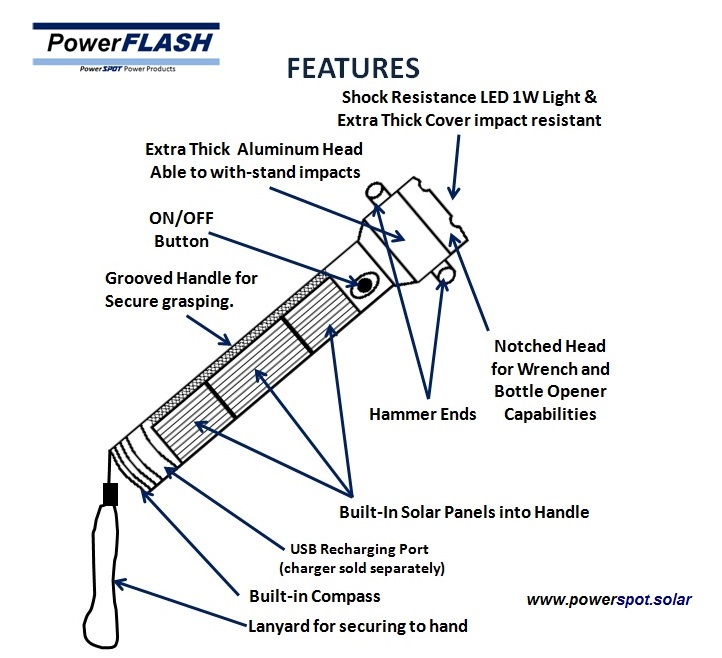 PowerFLASH by PowerSPOT is the ultimate in flashlights. Never again be worried to pickup a flashlight and have dead batteries. With PowerFLASH, from built-in solar panels, the batteries will recharge quickly (6hours) and provide up to 72 hours of continuous usage on a single charge. 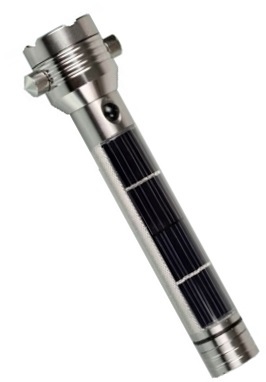 This under 8 inch long flashlight is compact, space saving, and comes with many useful features. It is the perfect item for home, outdoors, survival, and is excellent in emergency situations. batteries. It makes the perfect gift to yourself and others.